Duplex penthouse of 3 bedrooms and 2 bathrooms, with large living room with fireplace, furnished and with appliances and air conditioning. Facing southeast, overlooking the green area and pool. It has a wonderful panoramic sea views. Located in the prestigious urbanization of Aguamarina, it is located in a residential complex with 2 swimming pools, green areas and private parking. 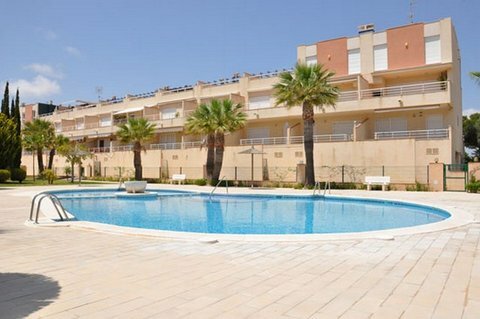 Only 150 meters from the Campoamor and Aguamarina beaches and very near shops, medical center, bars and restaurants.